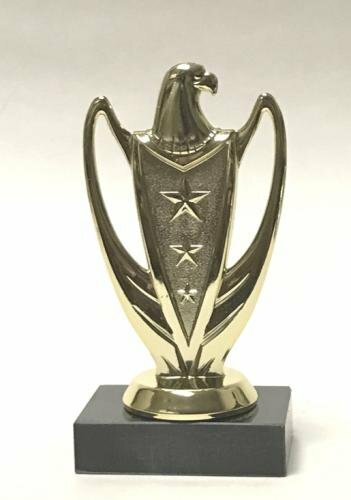 Trophy featuring an eagle figure. Choose your base to customize this trophy. Simply add this trophy to your shopping cart and use our unique trophy builder technology to customize your trophy. Overall height of the trophy depends upon trophy base selection.